Stylish and practical, verandas can create a multi-purpose outdoor space that you, your family and any guests can enjoy. 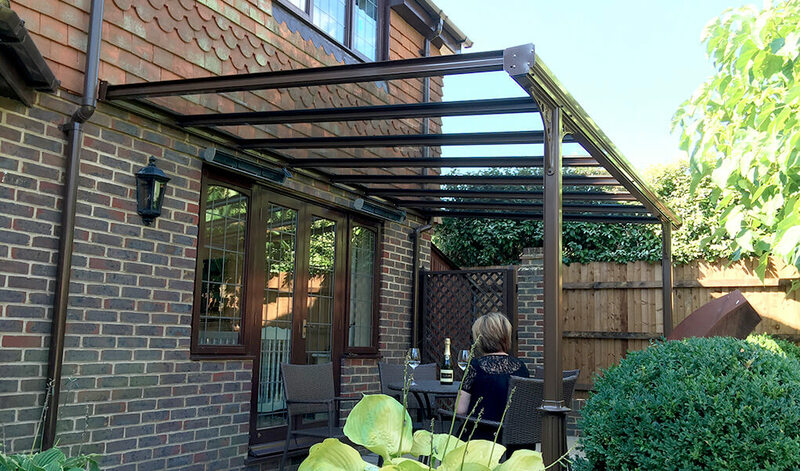 Constructed from high quality aluminium framing and available with either a glass or polycarbonate roof, they provide protection from the elements without restricting the feel of the outdoors. 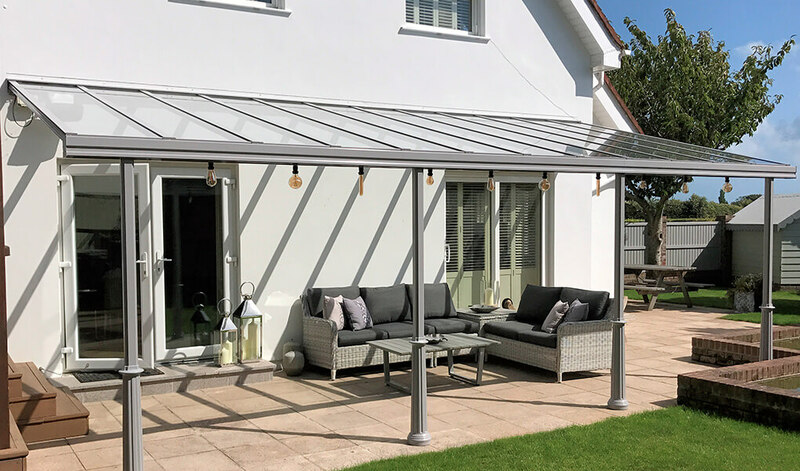 Protecting your home from down pouring rain and UV rays, traditional glass verandas provide the perfect spot for all year round outdoor entertainment. However, potential uses for them doesn’t stop there; benefit from an outdoor storage space, a dining area or somewhere where you can enjoy a pleasant breeze, a bit of sunshine and your favourite hobby. Available in an unlimited length, T&K can install a veranda the whole length of your property or far shorter, it really is up to you. Whatever length you decide, the elegant structure will add considerable value to your property. Having one placed over existing timber decking will also prolong the lifespan of the wood significantly. Verandas are available with integral guttering, so water is safely directed away from your home without affecting the sleek finish. The roofing blocks more than 98% of harmful UV rays given off by the sun. The whole structure comes with a 10 year guarantee, however the framing has a life expectancy of 25 years. 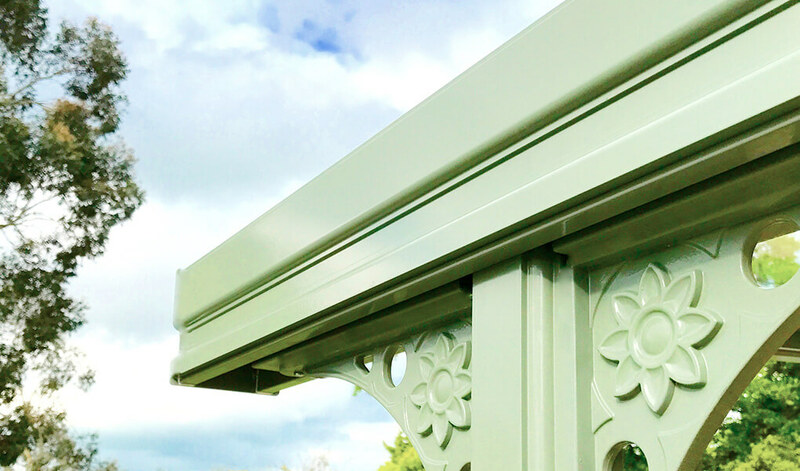 A veranda from T&K can be finished in almost any RAL or BS colour, ensuring suitability to any property. You can opt for your favourite colour so your veranda reflects your personality, or choose something that matches the colour scheme of your house. The choice is yours. T&K’s stunning verandas are available with either toughened glass or 35mm vandal and shatter resistant polycarbonate. Both provide fantastic protection from UV rays and rain. A stylish Victorian upgrade is available. This will help the veranda to conform to a traditional aesthetic, without affecting any of the practical benefits. T&K can fit wall mounted heaters and lighting, allowing your veranda to maintain a comfortable level of warmth at any time of day, any time of year.